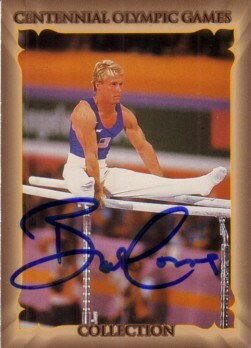 1996 Centennial Olympics card autographed by 1984 Olympic gymnastics gold medalist Bart Conner. With certificate of authenticity from AutographsForSale.com. ONLY ONE AVAILABLE FOR SALE.